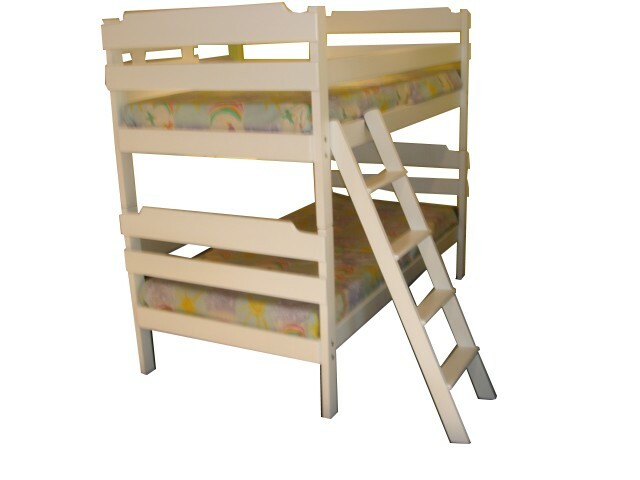 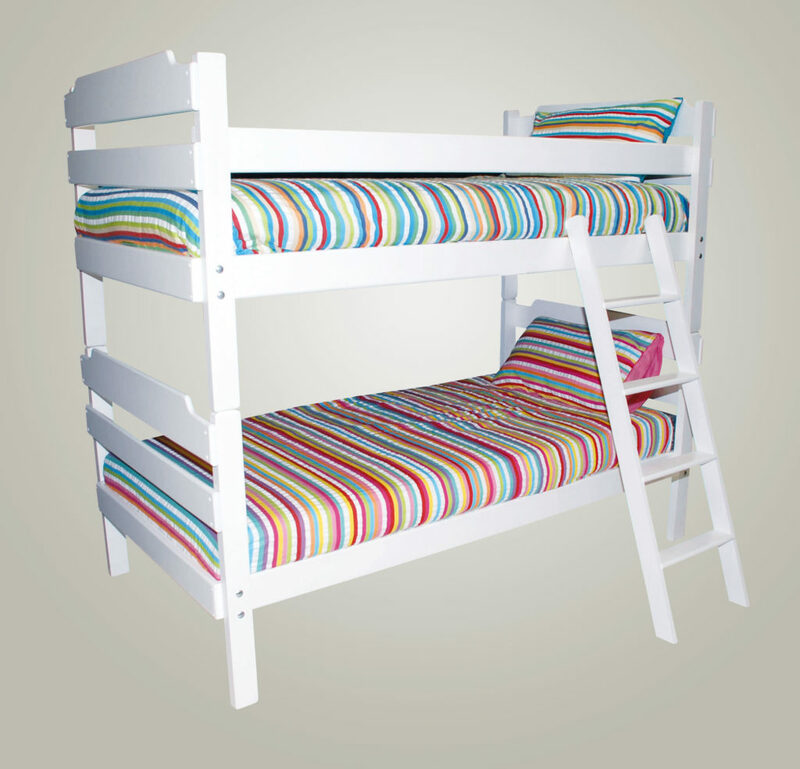 Save space with this elegant and simple E-Ranch Double Bunk Bed. 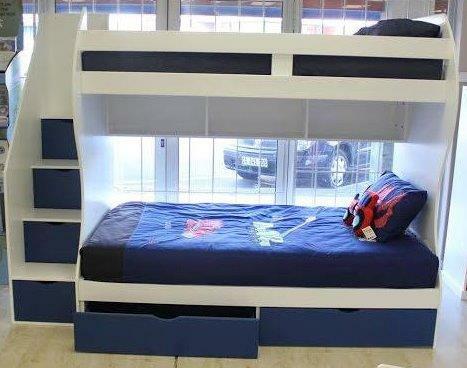 Can be used as 2 single beds. 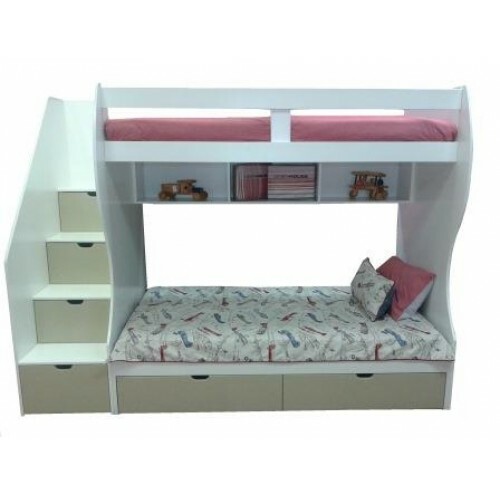 Available colours: Oregon, White Wash, Natural, Lite Mahogany. 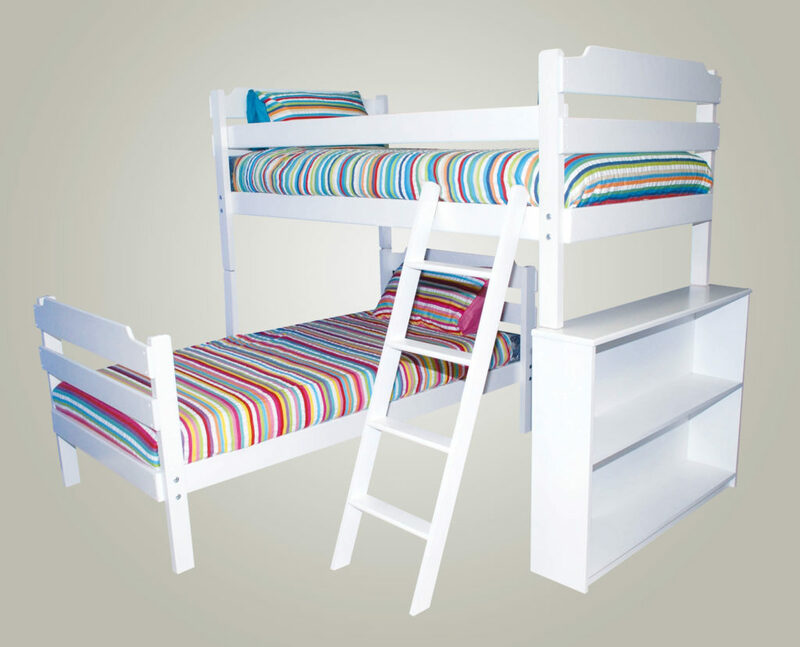 Add style and functionality to your bedroom with the E-Ranch L-Shape Double Bunk which features a Bookcase, Ladder & Safety rail.